IIAR is the only organization dedicated specifically to the use of ammonia as a refrigerant. Members are steadfast in their efforts to promote the advancement of its safe and efficient use. Executives and professionals from across the United States and overseas gather each year to take part in the IIAR Annual Meeting. The presentation of technical papers by industry experts and special guest speakers highlight this unique educational forum. Product displays and informal sessions also provide members a forum in which to share new ideas amongst peers and industry members alike. The American Society of Heating, Refrigerating and Air-Conditioning Engineers, Inc. is organized and operated for the exclusive purpose of advancing the arts and sciences of heating, refrigeration, air conditioning, and ventilation, the allied arts and sciences, and related human factors for the benefit of the general public. The Refrigerating Engineers & Technicians Association is an international society founded in 1910 and composed of men and women involved in the design, operation and service of refrigeration and air-conditioning systems. Its purpose is to provide education and training, as well as networking benefits for both experienced operators and those who have recently entered this rapidly-expanding field. 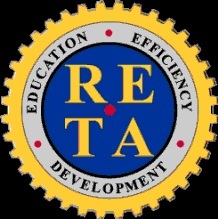 Throughout the United States, Local RETA Chapters provide benefits designed to keep members up to date on new developments in equipment and operating procedures, practical aspects of everyday engine room operations, troubleshooting and dealing with emergencies. Mechanical Service Contractors of America is a subsidiary of the Mechanical Contractors Association of America. The MSCA provides management tools and additional products and services to both large and small heating, ventilation, air conditioning and refrigeration service contractors. In addition, the MSCA has relationships with local MSCA and MCA groups to help provide programs that focus on local and state issues. The National Certified Pipe Welding Bureau engages in research and educational work that will assist the contractors in furnishing safe and dependable installations through the use of qualified Welding Procedure Specifications and qualified welders. The NCPWB provides information to contractors to help keep them informed of the latest methods, information and data on welding, safety and health. National Federation of Independent Business has 600,000 members and offices in Washington, D.C. and all 50 state capitals. NFIB is the nation's largest small business lobbying group. Members are a diverse group consisting of high-tech manufacturers, retailers, farmers, professional service providers and many more. NFIB has been lobbying on behalf of small independent business concerns since 1943. National Fire Protection Association - The mission of the international nonprofit NFPA is to reduce the worldwide burden of fire and other hazards on the quality of life by providing and advocating consensus codes and standards, research, training, and education. NFPA membership totals more than 81,000 individuals from around the world and more than 80 national trade and professional organizations. International Code Council, a membership association dedicated to building safety and fire prevention, develops the codes used to construct residential and commercial buildings, including homes and schools. Most U.S. cities, counties and states that adopt codes choose the International Codes developed by the International Code Council.